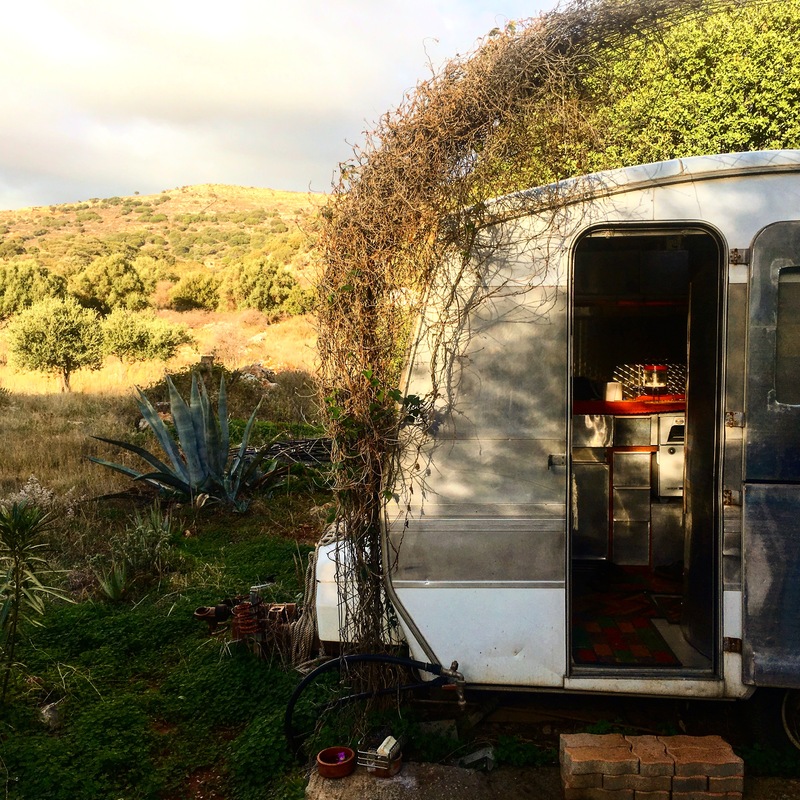 Edible Alchemy is taking the Microbial Circus to more traditional settings and rural living conditions on Crete for the winter. Why is Edible Alchemy on Crete? I, Alexis from Edible Alchemy, am doing an artist residency (as in art of fermentation) with Event Horizon, Crete. I will be learning traditional methods of fermentation and picking up cultures and tips & tricks along the way. The living conditions: rustic & rural. Not directly in a village, which means I need a car to reach over the mountains, past all the mini churches and monuments and into the valley where the olive grove hides. No electricity, only solar power (i.e. when there is no sun, there is no power). I brought a headlamp. No fridge other than the evaporation system and underground cellar (episode II). Outdoor living style. Crete in winter does get rainy, cold and windy – but can also be sunny during the day and perfect for slack-lining and wild foraging. The land is protected from farm animals, like the herds of sheep and goats around us in order to allow local flora & fauna to thrive. But I have wifi! So I can still reach all you alchemists with your questions and comments (if the sun powers the solar panel that is 😉 ). What you will see / hear in this episode. What I brought with me on this Microbial Circus. Challenges: keeping warm, making a fridge, using Cornelius without an oven, learning the local plants, learning Greek.